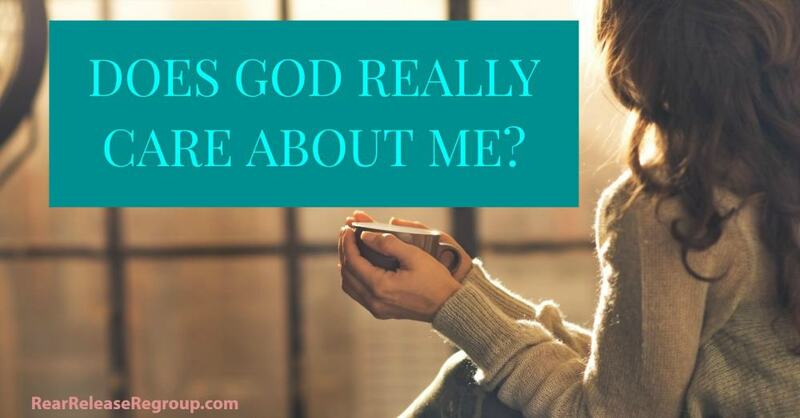 How does God really care about me out of all the billions of people in the world? I have a million thoughts tumbling around in my brain on any given day. Ironically, they tend to crowd my vision. 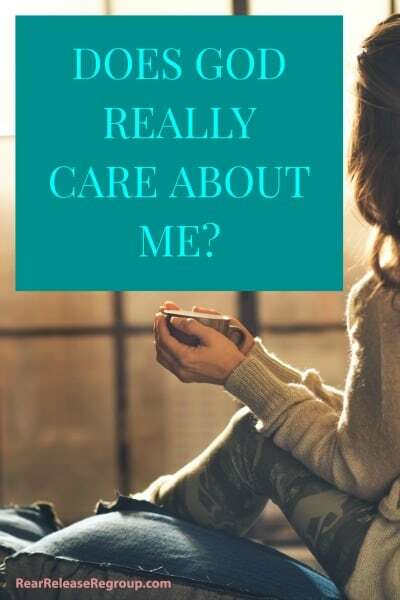 The thought occurs to me that if I have that many thoughts about myself and my family and can’t get it all together, how in the world can God possibly take care of me and everyone else? 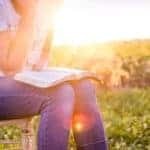 We get so busy with our agenda, we forget God has a broader perspective. Does He really know every detail about me, and is it important to Him? Do you see that crab up there? The one looking skittish – like he’s about to bolt? Last year on a Florida beach trip, I spotted Mr. Crab out of the corner of my eye and decided to catch a few pics. At first, he burrowed down. He thought I couldn’t see him with a little sand on his head (so humorous). There’s a lot of sand on that one beach on the Florida Gulf. Multiply that by sand on every beach in the world. And then, add in the sand that’s not on the beach (ocean beds, bath scrub, and sandboxes). When I get to thinking God doesn’t see me because of problems He’s not answering fast enough (according to my vision), I become like Mr. Crab. I think a little sand on my head hides me from view. Do you think a little doubt on your part keeps me from seeing you? God thinks about you. Not once a day, once a month, or once a year. Multiple times every day – possibly multiple times per second! It takes faith to believe that. Did you notice how Mr. Crab is almost NOT in the picture? That’s because my mid-life eyesight is terribly skewed when wearing contacts (I can’t see a thing up close). 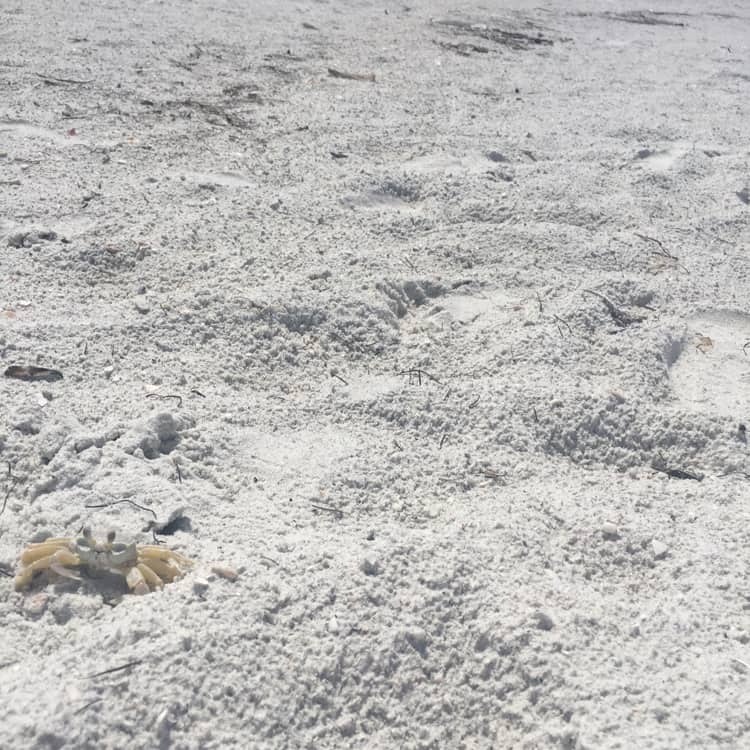 I snapped another pic of Mr. Crab, his body only half visible, and sent it to my daughter. Cracking up at this. Having trouble seeing your screen? Yes, I am having trouble with my vision. Or lack thereof. I’m reasoning things out and wondering if God sees. Well, God has more. And they’re about you! Mr. Crab eventually made a break for it when I changed positions. I watched him skitter sideways up the dunes and into a hole near the boardwalk. But I’m not running. Know why? Because the safest place for me is right in the center of God’s will. (Plus I was at the beach, so…you know.) But seriously, He has me in my season and you in yours for a reason. It’s not by accident. Nothing in your life is by accident. Humility to accept God’s Word’s word for truth is the key to walking by faith. Let’s place our trust in the Almighty and accept His perfect vision, shall we? Let’s trust His Word and believe He has thoughts of us. Let’s not box Him in because of our lack of vision. Instead of allowing my brain to run away with me, I’m going to imagine Him having 1,000 thoughts of me per second. How about you? Now it’s your turn – what do you struggle with most when it comes to believing God cares about you? 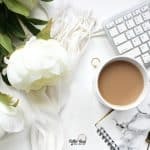 It’s not too late to join the Clutter-free Mind Challenge! If you’re having trouble focusing on your goals for the new year, why not join the Clutter-free Mind Challenge? You are going to feel so empowered, so free, and so peaceful once you get clear on what needs to go. You’ll know exactly what you want to do to make 2017 productive and joyful. And you’ll soak up those little moments you’ve been missing because of too much distraction. 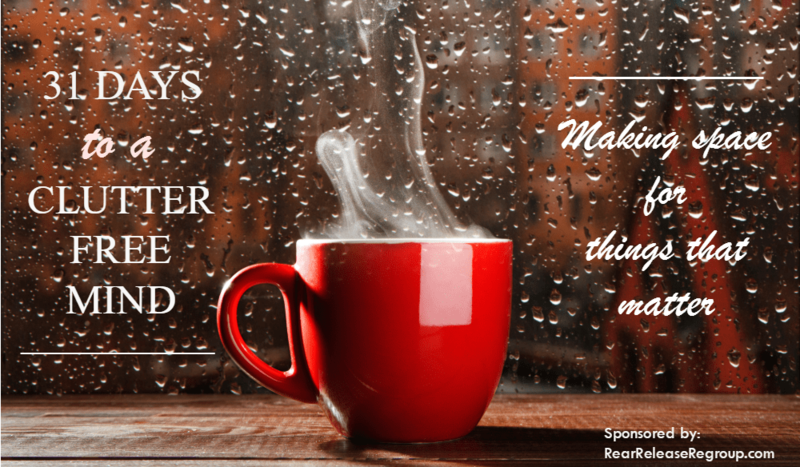 Sign up here to enter the 31-Days to a Clutter-free Mind Challenge and kick off your goals for 2017! 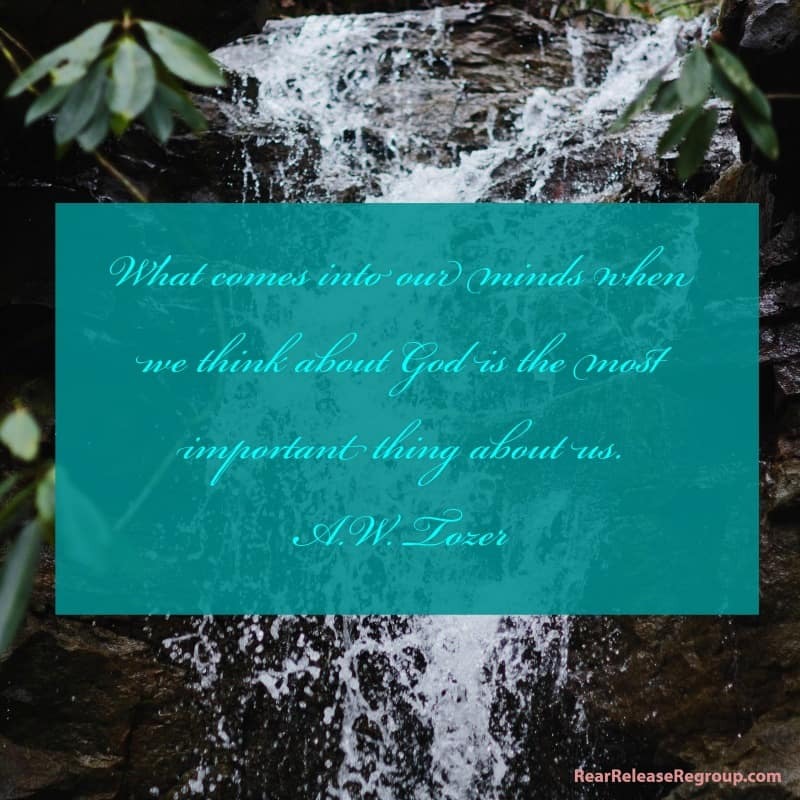 Love the idea of thinking about God thinking about me! 🙂 What peace that can bring when we’re struggling!! Isn’t it such a comfort? We don’t often realize it, or sometimes we don’t really believe it (but don’t wanna admit it)! Thanks for your kind words, Tracey! Such a great reminder, Ruthie! We’re a beach-loving family, too, so your analogy with the little crab putting sand on his head was perfect!